RED LIGHT THERAPY ~ BELIEVE IT . . . AGING IS OPTIONAL! Red Light Therapy is a healing strategy that makes use of red tinted light in order to stimulate the bodys natural defense systems & bring relief from various ailments. The basis for this treatment has to do with the fact that red light helps to activate ATP or adenosine triphospate in the muscle tissues, releasing more energy for the body to use. Red Light Therapy is a safe all natural process that encourages your body to naturally produce enzymes, elastin fibers and collagen that support the skin's structure. Thus producing a younger smoother firm feeling skin. Infrared light technology has been extensively researched and used by NASA, Mayo Clinic, National Institutes of Health, U.S. Military and many more worldwide, it has been found to be effective at repairing damaged skin, treat depression, relieving pain, treating wounds, killing bacteria, adding to cancer recovery and much more. Initially you'll notice fine lines start to diminish, your skin will have a much smoother feeling to it, pigmentation of the skin will start to even out, and any blemishes or acne will start to diminishing. Over time improved oxygenation and detoxification of the skin is achieved as the vascular walls of the skin's small blood vessels are strengthened, followed by improved natural repair and creation of healthy skin. This will restore and firm up tired looking skin, decrease fine lines, wrinkles, stretch-marks, diminish freckles, age spots, eliminate acne, even out pigmentation, minimize the size of facial pores, improve the appearance of sun-weathered skin, and stimulate collagen synthesis. Overall improving the skins underlying supportive structure and making you look and feel years younger! RED LIGHT THERAPY - WHAT IS IT? RED LIGHT THERAPY - WHAT CAN IT HELP? RED LIGHT THERAPY - IS IT SAFE? Red Light Therapy is FDA Approved. Best for Red and infrared for minor pains and mild arthritis. 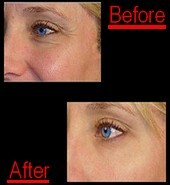 Red Light Therapy has been used in Europe for over 40 years for it's anti-aging results. Light Therapy has been used for over 70 years.1930s & 1940s, Drs. Knott & Miley used blood irradiation to treat acute infections. In the 1980s & 1990s NASA discovered Light Therapy to be beneficial in treating SAD (seasonal affective disorder) and facilitating skin tissue growth and surface wound healing. Today, Light Therapy has been shown in independent research worldwide to deliver powerful therapeutic benefits to living tissue and organisms. RED LIGHT THERAPY - HOW DO I USE THE THERAPY? Just by using it 15-20 minutes a day 3 times a week! It does this by stimulating and energizing skin cells as well as reducing pore size. The therapy itself is usually a three month long session for best results. Ansley Beach proudly welcome the Red Light Therapy to it's customers! Are collagen lamp treatments effective for all skin types, including African American? Yes, our collagen treatments will offer all the benefits of Red Light Therapy regardless of how dark one's skin is.